I am so excited! There had been a lot of buzz over the summer and early fall about Drive, with its seething and violent story, gorgeous and very, very quiet Gosling AND Albert Brooks in the role of the scary and criminally-inclined producer, Bernie Rose. Then things kind of died down. Other films took off, leaving Drive in the dust. Now a couple of press organizations have come out with their nominations and things are starting to rev up again. 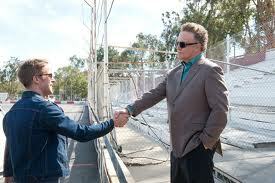 First, the New York Film Critics Circle nominated Albert Brooks for Best Supporting Actor in Drive. Then, ditto for the International Press Academy Satellite Award, which nominates ten names in each of forty categories. 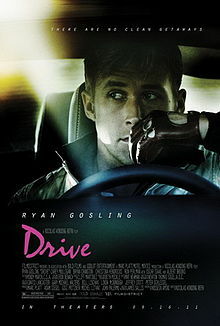 Drive also earned a Best Actor nod for Ryan Gosling. Sigh. Best Picture and Best Director for Nicolas Winding-Refn, Best Score for Cliff Martinez (pictured on the right), Cinematography for Newton Thomas Sigel, Film Editing for Matt Newman and for Sound, Dave Patterson, Lon Bender, Robert Fernandez, Victor Ray Ennis A total of 8 nominations. It looks like Drive and War Horse - two movies with tremendous horse power - tied for first place with the most noms. We'll see where they end up at the finish line. Okay, that's enough of that! And while with a field of up to ten names in every category obviously increases the odds of making the list, it is still pretty damn sweet to be on it! As far as Best Adapted Screenplay, Hossein Amini did NOT make the list for his adaptation of the James Sallis book but then Gosling and Winding-Refn were all over the place telling everyone they stripped the script until it was practically wordless, so there's that. Bryan Cranston was also overlooked, while everyone I speak with thinks the acclaimed Breaking Bad actor was heartbreaking in his role as the garage owner. If I seem a little personally invested it's because I am. My husband was one of the A.D.'s on Drive and said it was one of the best shows he's ever worked on. 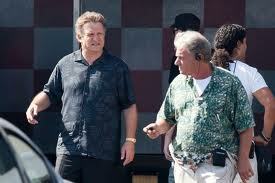 The cast were all nice (Ryan is nice) and the crew all got along and worked well together. I went to the wrap party, had my picture taken with Ryan Gosling, met Nicolas Winding-Refn (he was sitting on the bar, legs dangling), shyly said hello to the sweet and demure Carey Mulligan, and watched my husband go full on Karaoke without a drop of alchohol in his system. So yes, I have a personal investment. I can't imagine Ryan will be nominated by the Academy (not enough histrionics) but suspect Brooks might be. Cliff Martinez stunning score has a good chance to be in the running too, possibly with College Feats Real Hero getting a Best Song nod.